Bichelle Harrison, L.M.T. 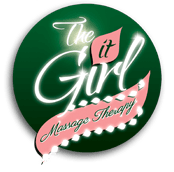 , Founder, is a graduate of the National Massage Therapy Institute, an NCBTMB school, takes pride in the field of massage as a Massage Therapist. She has attended the Steiner Training Academy at the Steiner Maritime division in London where she became certified in the Elemis Deep Tissue Muscle Massage, Elemis Aroma Spa Seaweed Treatment, Elemis Exotic Lime and Ginger Salt Glow, Elemis Body Sculpting Cellulite and Colon Therapy. "Had my massage today with Bichelle. It was so relaxing and she got rid of all the kinks in my neck and shoulders. Always look forward to my next massage with her. Highly recommend going to Bichelle". Ive had many massages over the years but this massage was absolutely the best. Very professional. I will definitely be returning and inviting my friends. "I was here today and I must say it was amazingly pleasant my massage therapist Bichelle was the best I will definetly return the ambiance and atmosphere was just serene great job"